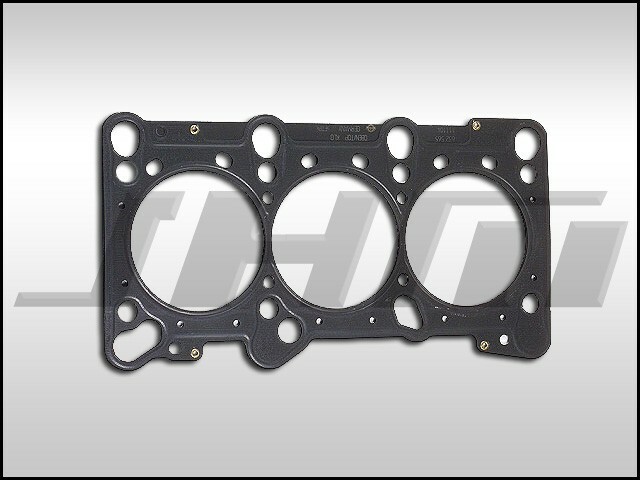 This is a high-quality, replacement multi-layer steel head gasket for the Audi-VW 2.8L V6 found in the B5-A4, C5-A6, and B5-Passat. This gasket is made by Elring, an original quipment supplier for many Audi and Volkswagen seals and gaskets. NOTE: Don't forget to select a qty of 2 when you get to checkout if you are doing both heads. Also, you must replace your head bolts any time you remove or replace your cylinder head (we sell these as well) and they require a special tool called a 6-point poly drive socket available from Snap-On.